Because your new dream Gulfport home might not close at the same time as your present dream home in which you are now living, it benefits you to be aware of some of the advantages as well as hazards of buying and selling at the same time. As it is a delicate balance to juggle, it is still possible, with a few tips to consider. This may be the safest move, although multiple moves may be involved. Primarily, when the first move is completed, your furniture goes into storage. You would then move into a temporary rental or enter into a rent-back agreement with the new owner. You now know how much to spend on your new home. With less pressure, you will not have to take the first offer on your home or accept an offer that is below your asking price. It might be a bit disruptive if your dream Gulfport home search takes a long time. There is less disruption in this plan; you move into your new home when ready, all the while preparing your old home for sale. Working best if your home is paid off, you might find yourself paying two mortgages at the same time. You can also rent out your old home, but you will be responsible for its repairs, renovation or upkeep. 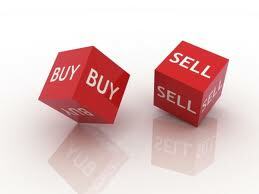 You might face one of the scenarios above if the time frame does not work; the financial aspect must have good timing. Bridge financing may allow you to own both homes at the same time; it may involve borrowing money from family or a short term loan from the bank to cover the time period between the closing of your new home and the selling of your old one. For more information about how to buy and sell your Gulfport home, please contact us at (228) 275-7500.